No matter what size abode you may reside in, the bedroom is the sanctuary to escape away from the daily hustles and bustles of life. The bedroom should be a place to relax and to lock the day’s craziness outside. A large master suite may be your dream but a bungalow sized bedroom can just as easily turn into a special retreat space. The cozier bedroom necessitates the need to be inventive in order to gain the most out of your sleep space. Creativity is the key to decorating a bungalows bedroom. Enjoy watching me on this eHow video for a tutorial to achieving your own beautiful petite bedroom! The bedroom’s centerpiece is of course the bed but this is also the object that takes up a large chunk of a small space. The cozier bedroom necessitates the need to be inventive in order to gain the most out of your sleep space. Creativity is the key to decorating a bungalows bedroom. In planning your bedroom’s new decor there are several options to obtain extra bedroom square footage. Yes loft beds are for adults too. 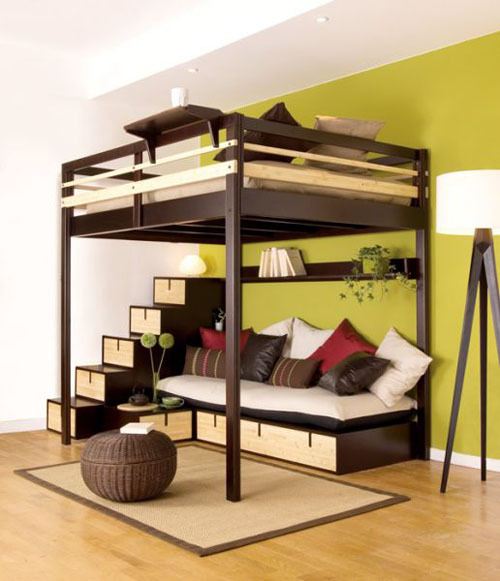 A loft bed is a wonderful solution if you have at least eight foot high ceilings. They create a second story to use as your “bedroom”, opening up an area for storage, desk or seating underneath. The original Murphy bed is a pull down bed designed to fit into the décor upright and can easily be pulled down for a good night’s sleep. Pull down beds now have desks and sofas built into them so when they are stored upright the bedroom virtually turns into another room. Guest rooms allow for more sleeping options. If the bedroom is to be an extra guest room, bungalow guest bedrooms are a good space to double as an office or den. A sofa bed or futon can serve double duty as seating and a bed for the occasional guest. If you love the look of a traditional bed for your bungalow then play it up. 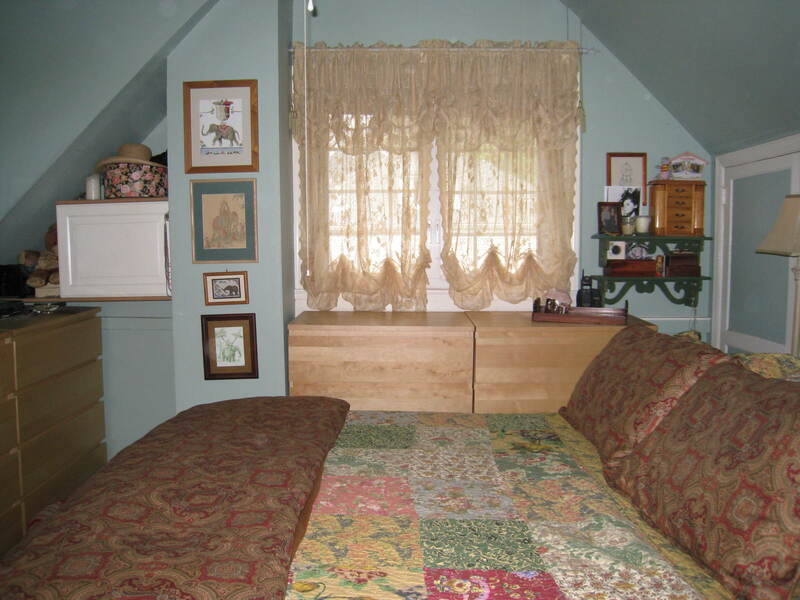 Small bedrooms will probably accommodate a bed no larger than squeezing in a queen size. Determine what the storage needs are as well as sleeping needs. For a single, the twin bed can be placed against the wall between two bookcases creating a niche. Add pillows along the wall and there is a place to sit and read when not ready to get under the covers. A cozy twosome can cuddle on a full size bed. This size bed can be placed against a wall into a corner of the room. Keep in mind that for two it mean that someone has to crawl in from the footboard end. Use a storage headboard that also allows for a shelf behind the bed to provide room for bed lamps and music players. Royal couples need a queen size bed. These beds need room to walk around and will create a very cozy place to nest for couples. Although the standard is to have a couple of feet to get along the side of the bed, allowance can be made for small rooms. Add fluffy pillows to cuddle back on when watching TV or reading. Keep the decor from being overly busy. Paint the walls and ceiling in a uniformed look. Most folks believe that they must use white walls to make a room appear larger. Medium shades will create a beautiful backdrop and will not cause one to feel closed in. Use a soft purple, blue, or green to promote a happy sleep. Stay away from bright colors and dark jewel colors. Paint all of the walls and ceiling in the same color so that the room is not chopped up. Trim and doors can be painted in a contrasting color to give the room dimension. Stay away from heavy window decor. Heavy drapery will close a small room in even more. 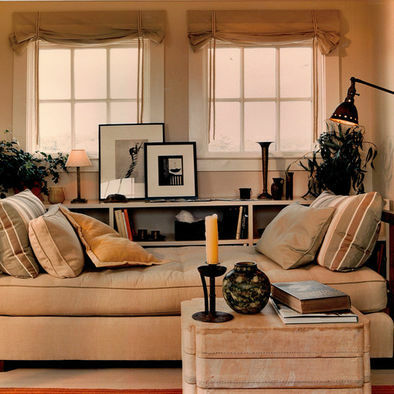 Use roman shades or blinds for the windows. Shutters work well and create a special look for a bungalow bedroom. Versatile furnishings and accessories are a must for the cozy bungalow bedroom. 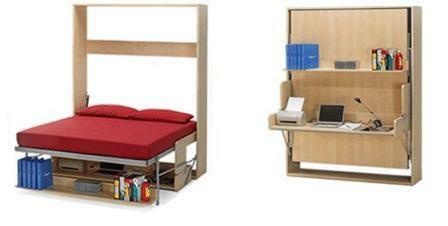 Think double duty; storage cubes and benches are perfect as foot boards or in front of the twin bed acting as a settee. Bookcases are not just for books; The narrow shelves take up less room than a dresser. Use the shelves for folded sweaters and pants. Place baskets on the shelves that can discretely store more delicate items. Loud artwork will keep you awake at night. Keep the art on the bedroom wall personal. Hand happy photos of the family or a piece from a favorite artist. A framed mirror will create a more open feeling as well as help you get dressed. Depending on the bungalow’s location, you might want to decorate in a theme. If the home is on the beach then add some lovely accessories and scents to bring the seaside inside. The country bungalow will be cozy in flannels and wools. Have a great time viewing me as I discuss great decorating tips in all of my videos on eHow. Depending on your closet space, there are many options to choose from; hanging or over-the-door shoe racks, belt holders, and hanging shelves are all available. Enjoy the peace that the bedroom gives to you. Relax in your own cozy oasis. Play your favorite tunes and never be afraid to dance! Really your decorations are very beautiful and different from others . Mainly I like your ideas and loft beds and the sitting arrangement beneath it. Truly you are creative decorator. Thank you so much Karol ..